This edited collection brings together established global scholars and new thinkers to outline fresh concepts and theoretical perspectives for criminological research and analysis in the 21st century. 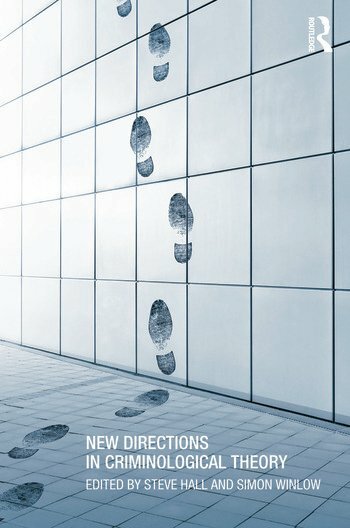 Criminologists from the UK, USA, Canada and Australia evaluate the current condition of criminological theory and present students and researchers with new and revised ideas from the realms of politics, culture and subjectivity to unpack crime and violence in the precarious age of global neoliberalism. These ideas range from the micro-realm of the ‘personality disorder’ to the macro-realm of global ‘power-crime’. Rejecting or modifying the orthodox notion that crime and harm are largely the products of criminalisation and control systems, these scholars bring causes and conditions back into play in an eclectic yet thematic way that should inspire students and researchers to once again investigate the reasons why some individuals and groups elect to harm others rather than seek sociability. This collection will inspire new criminologists to both look outside their discipline for new ideas to import, and to create new ideas within their discipline to reinvigorate it and further strengthen its ability to explain the crimes and harms that we see around us today. This book will be of particular interest to academics and both undergraduate and postgraduate students in the field of criminology, especially to those looking for theoretical concepts and frameworks for dissertations, theses and research reports. Steve Hall is Professor of Criminology at the Social Futures Institute, Teesside University, UK. He is the co-author of Violent Night (Berg, 2006) and Criminal Identities and Consumer Culture (Willan/Routledge, 2008). He is also the author of Theorizing Crime and Deviance: A New Perspective (Sage, 2012). Simon Winlow is senior lecturer in Sociology at the University of York. He is the author of Badfellas (Berg, 2001) and co-author of Bouncers (Oxford University Press, 2003), Violent Night (Berg, 2006) and Criminal Identities and Consumer Culture (Willan, 2008).